Our kids are stuck with two librarians (one of whom is also a history major) for parents, which pretty much means that we have books stuffed in literally every nook and cranny of the house. I'm really not kidding. But how can we resist? 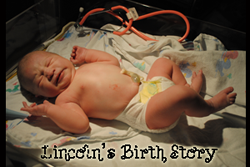 Books were one of my most important treasures as a child, and I hope to pass that love on to Lincoln and Addie. So it seems that the books just keep accumulating. And I'm okay with that - but if someone could send me some nifty storage ideas, I would appreciate it. I'm especially always on the lookout for books that I can use to share stories of Jesus with my little ones. There's nothing more important than giving them a solid foundation as they grow! So I was excited to check out these two fun books, which have just been re-released: Favorite Parables from the Bible and Animal Tales from the Bible. 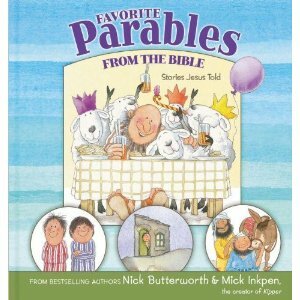 Favorite Parables from the Bible: Stories Jesus Told features eight different parables, including: The Lost Sheep, The Precious Pearl, The House on the Rock, The Two Sons, The Rich Farmer, The Little Gate, The Good Stranger and The Ten Silver Coins. This is my favorite of the two books - simply because the stories are each presented simply enough for even a very small child (ie, my son Lincoln, who is almost 2) to understand. Each page has only a line or two of text. When you are trying to read a story to a very busy little boy, this is a super important detail! The book is aimed at ages 4-7, but my little one enjoys is nonetheless. The illustrations are fun and interesting for kids to peruse. 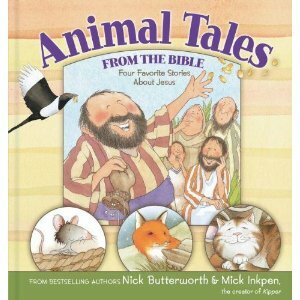 Animal Tales from the Bible: Four Favorite Stories About Jesus is the shorter of the two books, featuring four Bible stories. 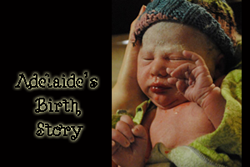 The stories included are familiar: Jesus' Birth, Jesus Turns the Water into Wine, Zacchaeus, and Jesus and the Storm. What makes it unique? Each tale is told by a different animal! A clever fox, a hungry cat, a thieving magpie, and a sea-faring mouse share these tales with young readers in a fun and witty fashion. These stories feature more detail than Favorite Parables from the Bible - so I think this one is definitely suited for the age range listed (4-7). Again, the illustrations are intriguing and a delight! Both books were written by the bestselling writer/illustrator team of Nick Butterworth and Mick Inkpen (creator of the popular Kipper the Dog). These books were originally published in 2002, and are back now for a new generation of kids to enjoy! Suggested retail price on each book is $6.99 and they can be found on Amazon through the links above. Two Director Jewels readers will each win copies of both books: Favorite Parables of the Bible and Animal Tales from the Bible. This giveaway will end on January 18 at 11:59pm CST. This giveaway is open to US readers only. Thank you to Zonderkidz for providing my review samples and the giveaway prizes! I received no other compensation and all views expressed are my own. For more information, you can read my Giveaway Policy and my Disclosure Policy. It's a love/hate relationship: "I'll Love You Forever." Goodness, it always makes me cry! So sweet! You're really going to make me choose? I'll say "On The Night You Were Born." One of my favorites, that I love to read to my daughter, is "Where Do Kisses Come From." Thanks for the opportunity. My favorite is Click, Clack, Moo: Cows that Type. Now it's my son's favorite and we read it multiple times every day. Click clack moo. Click clack moo. Clickity clack moo. 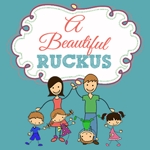 We love Max Lucado kids books. The Giving Tree is my fave kids book! Veggie Tales The Good, The Bad and The Silly book. The Best/Worst Christmas Pagent ever. It helps you look at Christmas from a different prospective. i'll love you forever, and the whole mother goose set! Green Eggs and Ham, would love to win this giveaway! I like Gigi, God's Little Princess. My son loves all kinds of books - especially those with dinosaurs or animals. I love Charlie and the Great Glass Elevator. Right now my daughter loves the Milly Molly Mandy books. i always love the disney stories book! I like The Giving Tree, when I was a Girl Scout Leader I can remember having a badge on this book. I love Ramona The Pest! It's my all time favorite! Charlotte's Web is my fave. Loved all the Curious George books when I was a kid. Goodnight Moon is our family favorite! My kids love anything by dr. seuss! I love Curious George books, when I was a child I love the Bobseine Twins series of books. I'm trying to subscribe to your emails.. but neither link works. It should work now - sorry about that!! "I'll Love You Forever" is my favorite! Our favorite book is Pout Pout Fish in the Big Big Dark. Such a cute story about never giving up and keeping your word. My favorite children's book is Skippyjon Jones. I love "The Runaway Bunny" by Margaret Wise Brown. And "Goodnight Moon." My favorite children's book is frog and toad are friends. My son loves me to read him the bible! I like the Littlest Angel. I love reading One Fish, Two Fish, Red Fish, Blue Fish. My favorite children's book is the Velveteen Rabbit. My favorite childrens book is The Cat in the Hat. My daughters favorite childrens book is Hop on Pop but mine would probably be anything from the Lemony Snicket series. My son loves all books :) he doesn't have a favorite as of now. The Giving Tree is a good one!! Oh there are just so many great children's books! But I think my favorite from when my kids were baby's is "Good Night Moon"
right now Peter Pan is our favorite!